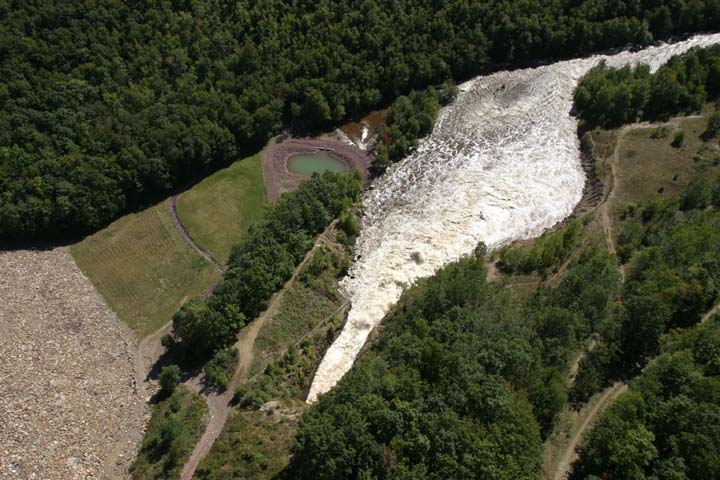 Rick's Pocono Blog: Right Off The PA Turnpike is The Francis E Walter Dam! Right Off The PA Turnpike is The Francis E Walter Dam! Come and enjoy yourself at The Francis E Walter Dam! This is a Park located in Lake Harmony in the Northeastern Region of Pennsylvania known as the Pocono Mountains. Take a walk through and breathe in the Fresh Mountain Air from the Lehigh River and the surrounding Trees and wildlife. There is An 1,800-acre project, with a small 80-acre reservoir but no Corps-operated recreation facilities. There is a boat launch area (no ramp), and there is a 10 hp limit. Picnicking, hiking and fishing are available, as is hunting, in season, on adjacent Pennsylvania Game Commission lands. This is somewhere almost all Poconoans go for their Outdoor Experience to be One With Nature. It is only a minute or 2 off of I- 476 and I-80. There are biting fish to be caught and trails to be explored. There is no cost to experience The Francis E Walter Dam, just show up! There are also many Communities only a short drive from the Dam including White Haven Poconos, Wagner Forest, and many more. Split Rock Resort & Waterpark is also right around the corner! The Francis E Walter Dam from the Sky!